It’s not just whiskey that Alexandrion is expanding in either. The company recently invested in a new winery in Romania, with a view to expanding its wine presence. The wines already produced by the company are mainly exported whereas its spirits are predominantly sold locally, but its new global office in Brazil will see its spirits exported to South America. 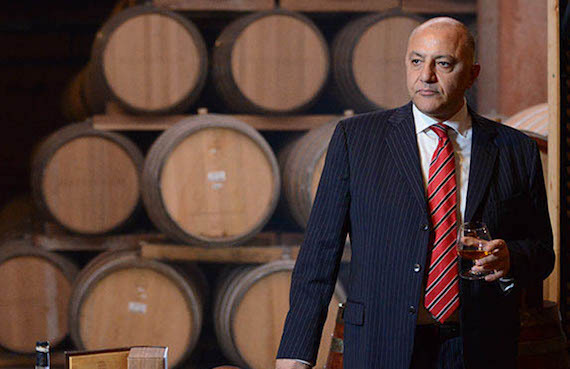 Savva says: “It’s difficult to sell wine in Brazil due to the presence of Chilean and Argentinian wines, but with spirits we have a good chance. Another market which Alexandrion is targeting is duty free - hardly surprising considering the rate of international growth. Looking inwards, the top three duty free products sold in Romania are owned by Alexandrion. “We want to develop the duty free category for us because I think our products suit travel retail as they’re still unique internationally and good quality,” adds Savva. The Alexandrion Group is a family-owned business founded by the current president Nawaf Salameh (pictured), who wants the company to become a global entity. There aren’t many brands which challenge Alexandrion domestically, but certain government laws can restrict the alcoholic beverage industry in Romania. For example local law states that the advertising of spirits can only occur after 11pm and any outdoor, public adverts are forbidden. In Romania, locals are legally allowed to distill for personal use, whereas in most other countries around the world it’s forbidden. This not only puts people with limited distilling experience at health risk, but reduces the market size for distillers such as the Alexandrion Group. Nicos Zygouropoulos, brand ambassador to Alexandrion says that the company offers to anonymously sample local homemade spirits in its laboratories to ensure people aren’t putting themselves at risk.